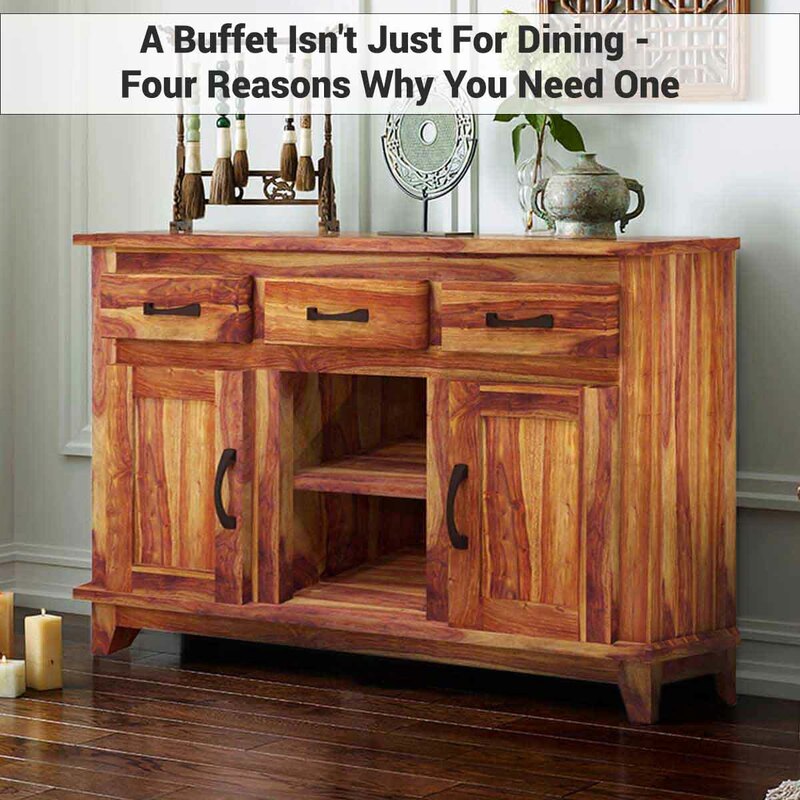 Why do you need a dining room buffet? Today's flexible living spaces, open concept great rooms, and cramped urban spaces may seem to eliminate the need for one. A traditional buffet loaded with the fancy china and grandma's candelabra is on its way to being a relic of the past. 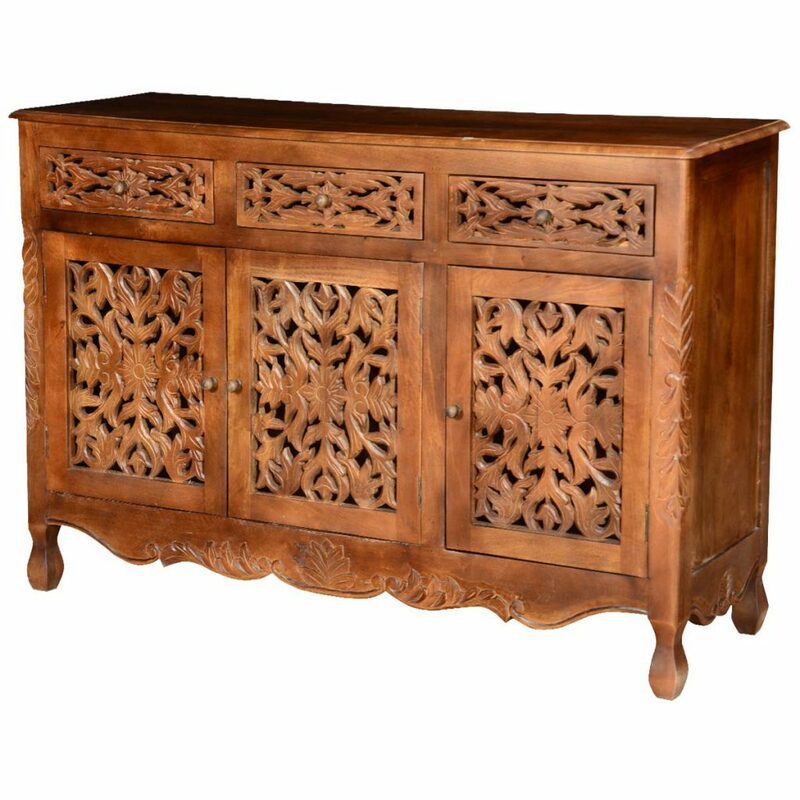 But a buffet still has an important place in today's home. We have an older population downsizing and a younger population that just doesn't like accumulating things. Younger families are less likely to have the formal dishes, tablecloths, and silver flatware that filled up the dining room buffet for hundreds of years. But we still celebrate holidays and have dinner parties, and a dining room buffet gives you extra serving space. If you love decorating, set up a vignette with holiday lights, greenery, and your favorite accessories. 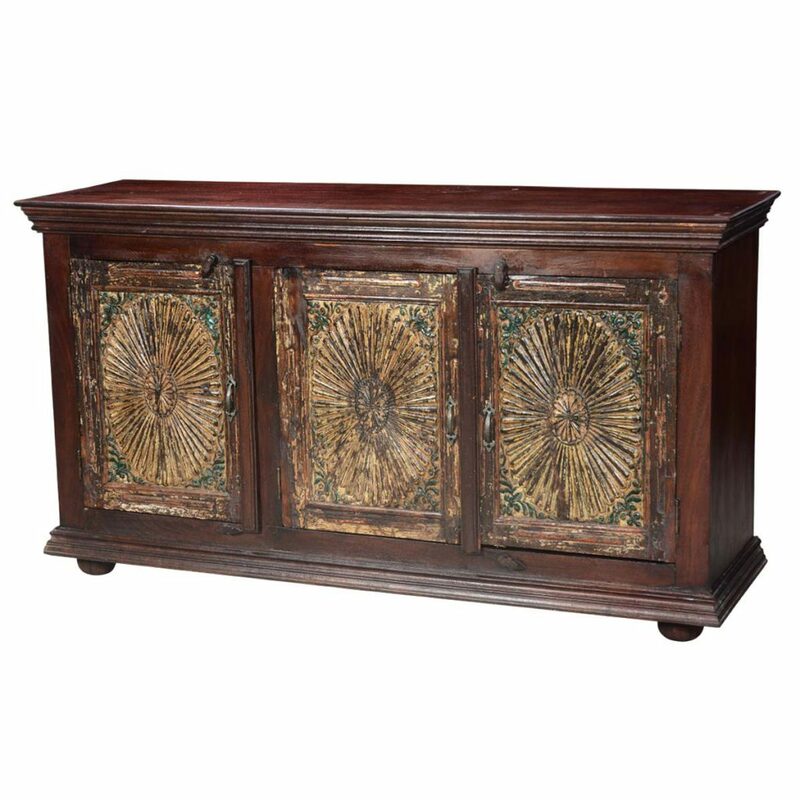 Imagine this piece holding a beautifully decorated dessert bar at a holiday party. Anyone who enjoys changing their seasonal décor appreciates display space. If you love displaying your vintage finds, or favorite quotes in a frame, a buffet is your empty canvas. 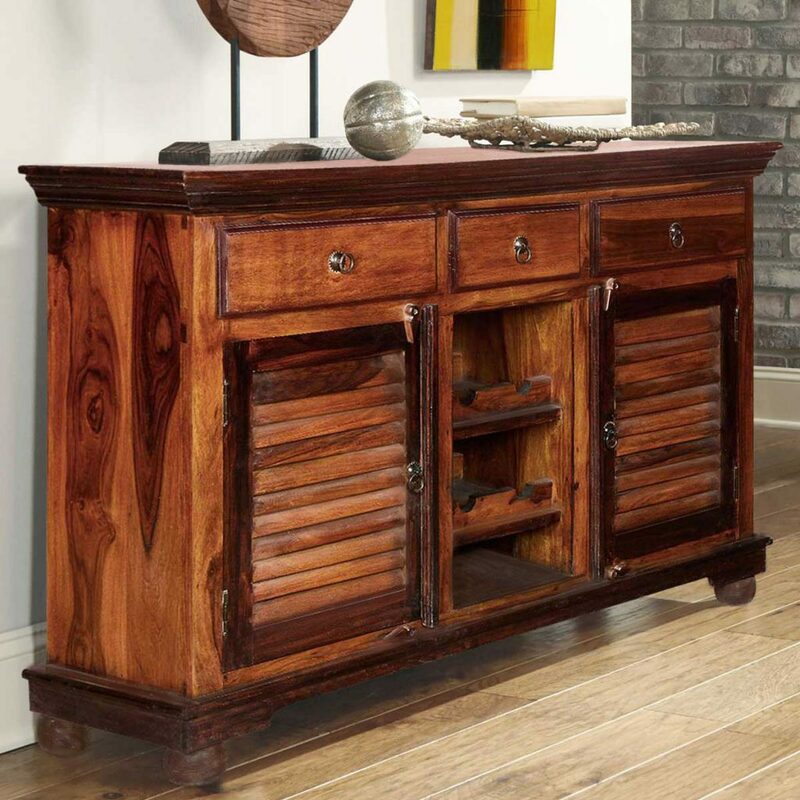 Store all of your collectibles and decorative accents inside. Once the holidays are over, bring out the winter whites and greenery - some old finials with chippy white paint, potted herbs, and beeswax pillar candles. 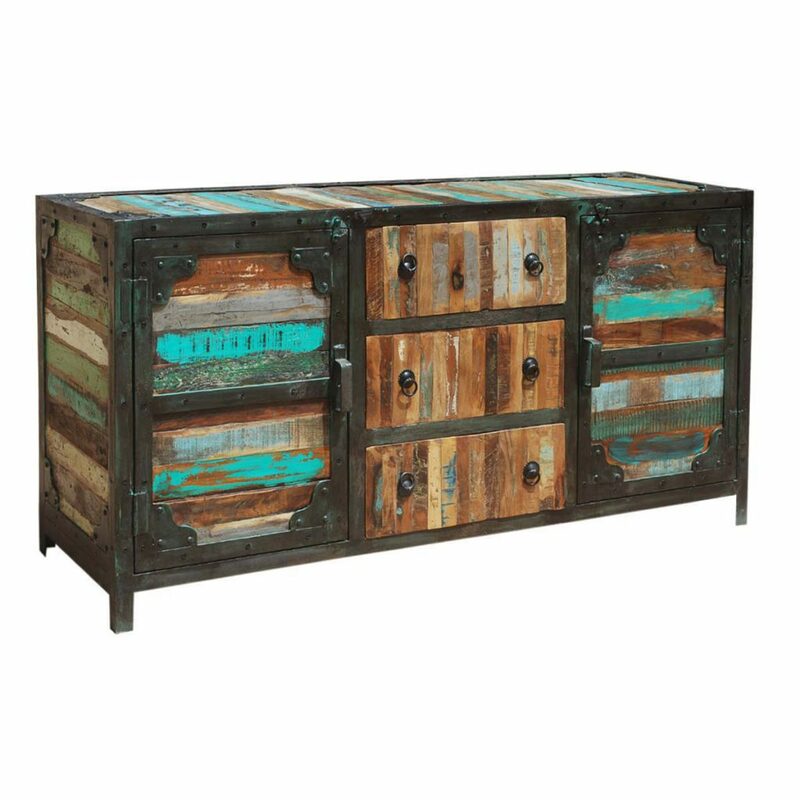 A farmhouse style buffet has all of the rustic charms you're looking for. 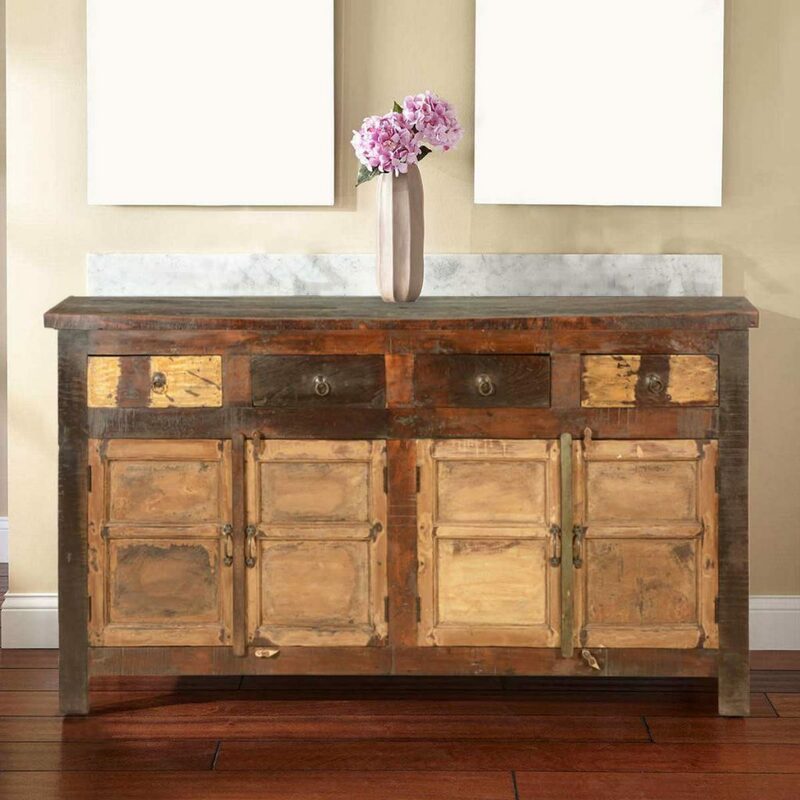 Think about the location of your dining room when you're shopping for a buffet. In an open concept home with a combined kitchen/dining area, the dining table is in the center of all the activity. When it's not set up for serving a large crowd, a buffet can display kids artwork, or have baskets on top to catch school notes or mail. Storage below can still hold seasonal décor or dishes, but there's plenty of room for things you'll use every day. 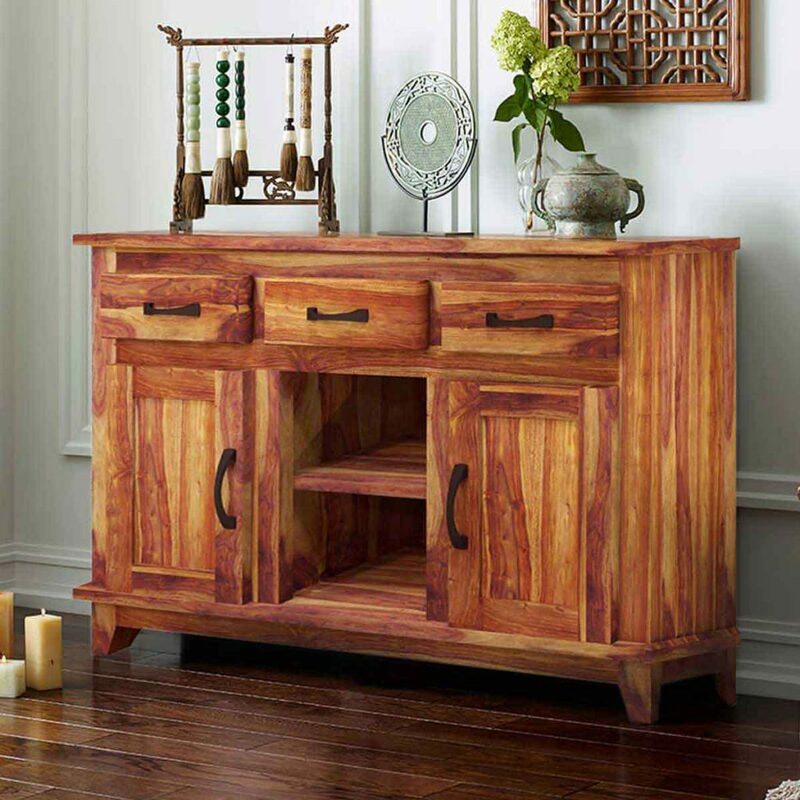 This one has glass doors so you can safely display an heirloom bowl or collection. 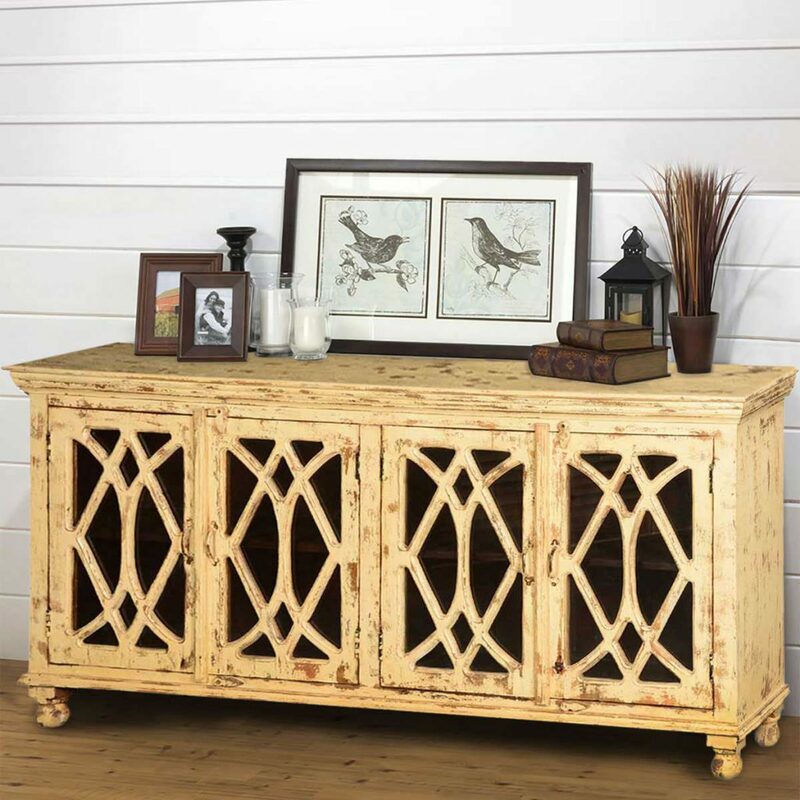 This large buffet can store all of the extra serving pieces, home decor and lots more. If you have young children, you probably spend plenty of time at the table doing homework, playing games, or doing craft projects. 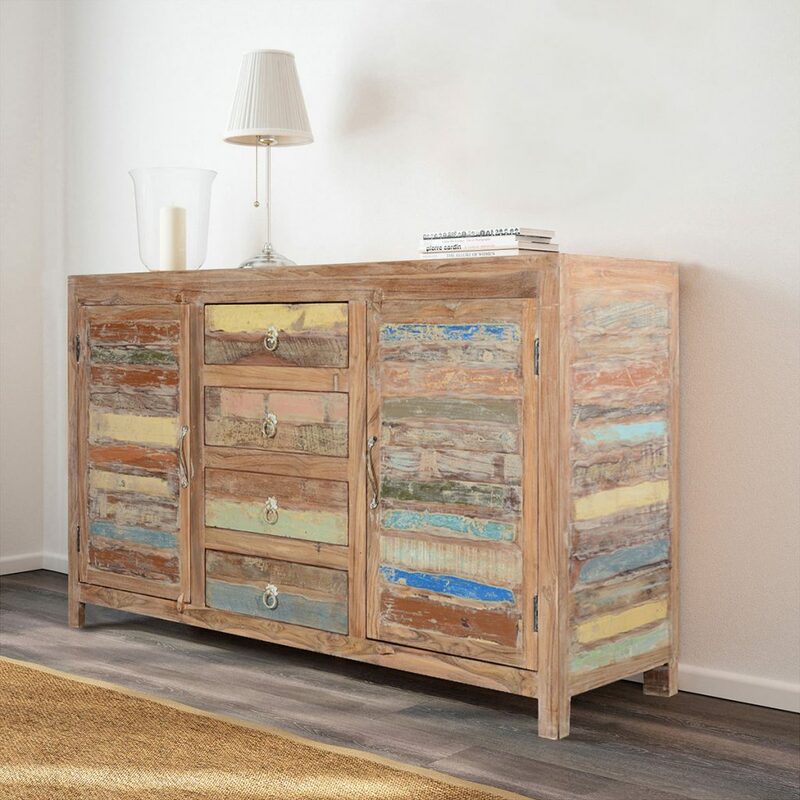 Repurposing an everyday piece of furniture, such as a buffet, to suit your family is a great way to maximize space and stay organized. 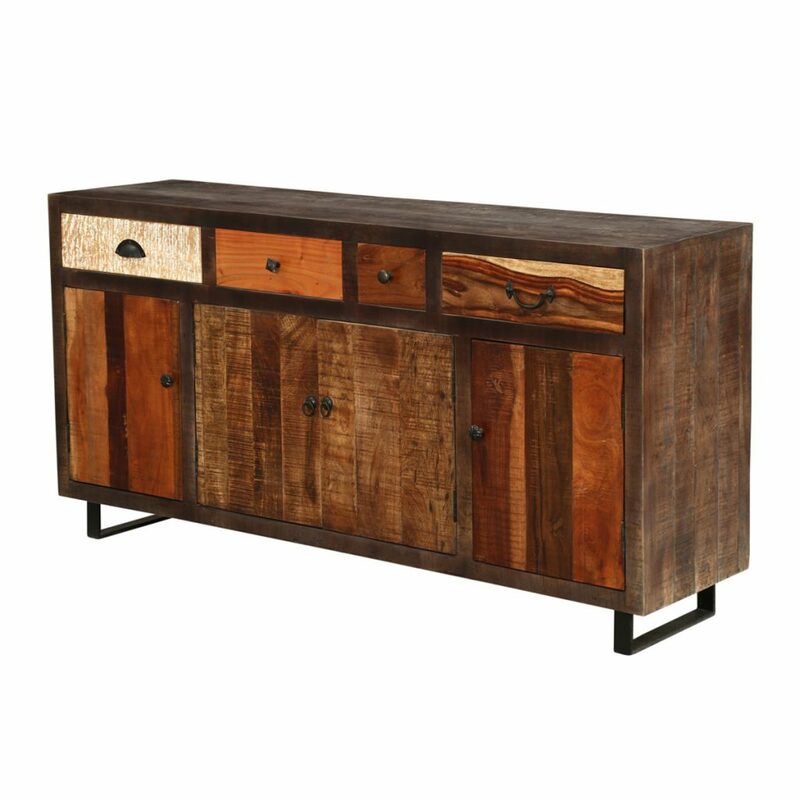 Look for a style that has some drawers to store a few office supplies and napkins for mealtime. Organize small toys and art supplies in baskets down below. Add a basket for bills and mail, and you can take care of a little business while the kids are coloring. A basket or bin on top to collect school papers keeps clutter out of the kitchen. Think outside the design box - you don't need to have a formal piece or even match your table. 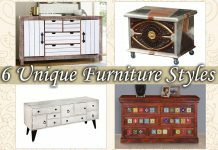 These buffets are perfect for family organization. With our web-connected lives and more people working remotely, a home office isn't like a luxury anymore - we need a workspace at home. If your home doesn't have a dedicated home office space, look at your home with a creative eye. With the right storage, you can create an office area almost anywhere. 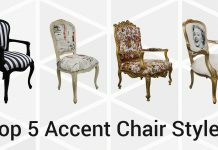 Do you have a formal dining room? They can seem like wasted space, used mostly on holidays. 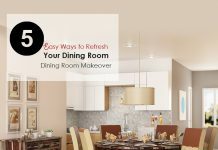 Use your dining room as a home office without converting the entire room. Choose a buffet that's nice and deep, and has a cabinet below where you could put a small printer, some file caddies, and supplies. With computer storage, we hardly need file cabinets anymore, so a laptop and a well-organized buffet in the dining room can become a private home office. 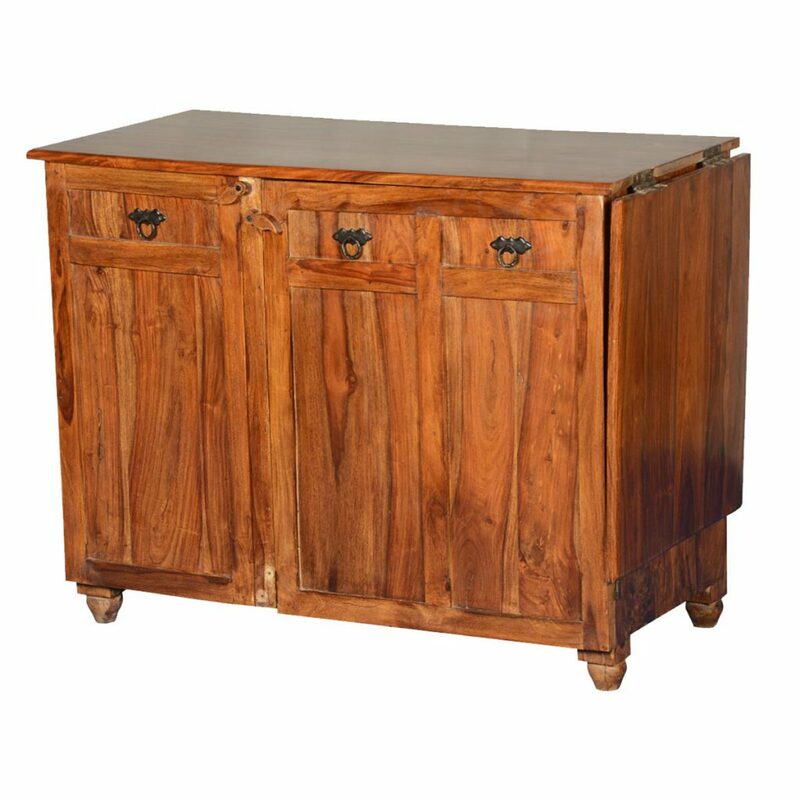 Measure your room and choose the largely sized buffet, so you still have space for some dining items. 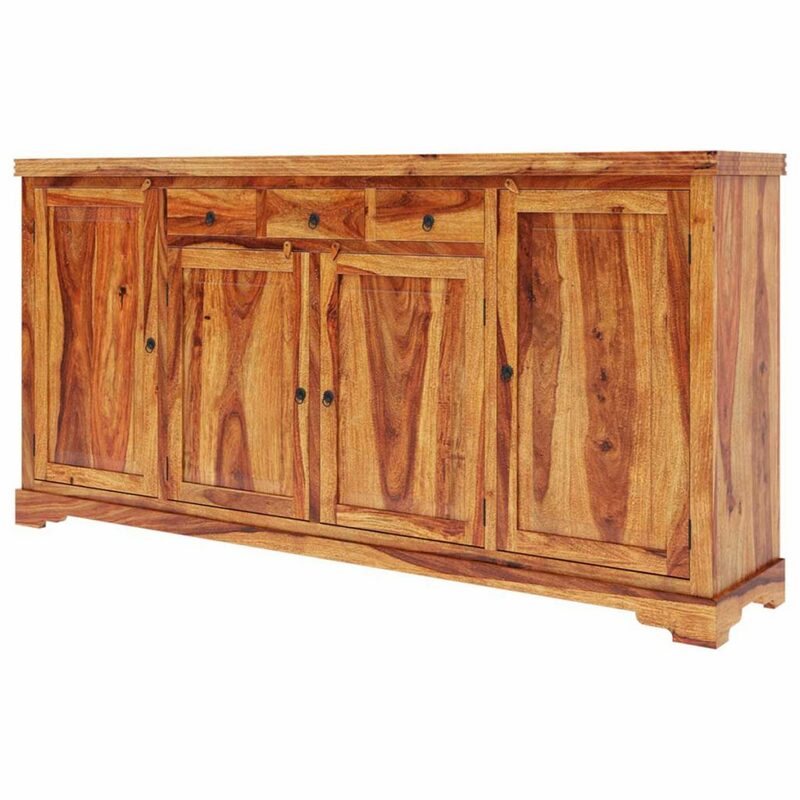 If you don't have a formal dining room set, there are plenty of interesting buffets and sideboards that make a statement. 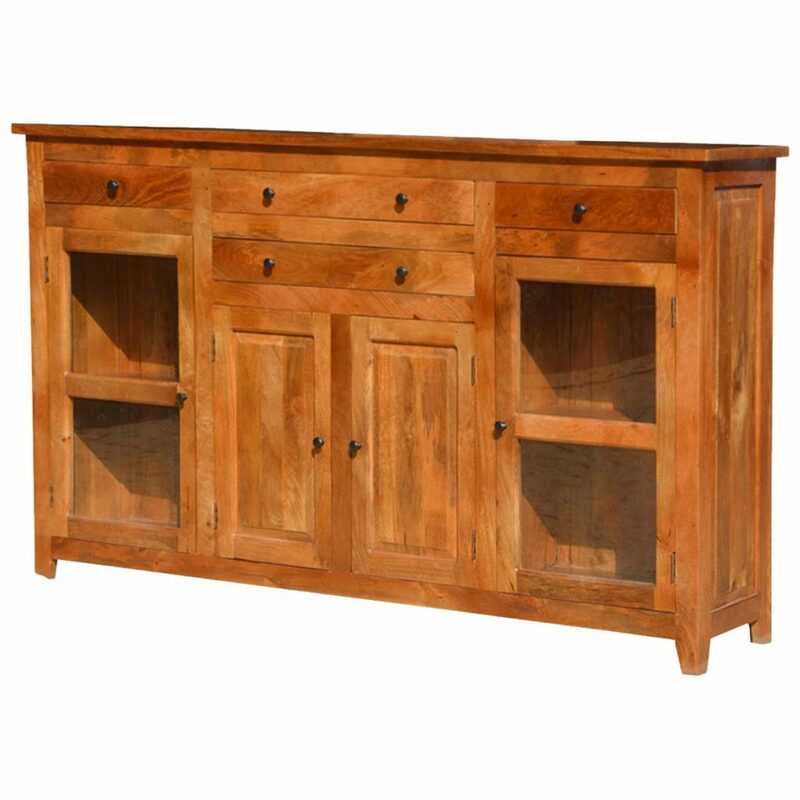 If you do a lot of entertaining and feel a little cramped for space, a buffet is the perfect piece of furniture to use as a bar. In an open concept floor plan, a wall near the kitchen or even in the seating area is a great place for a buffet. Set up a bar there for parties to reduce traffic in the kitchen. If you have a lot of holiday guests, use it as a coffee and pastry bar. A colorful painted piece is a unique focal point. 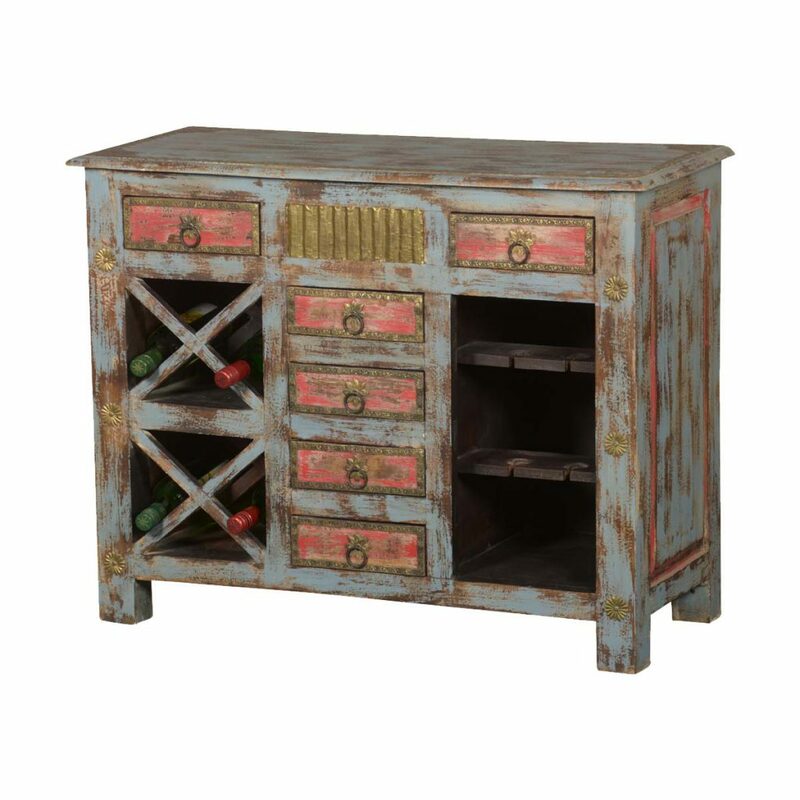 A buffet is perfect for storing barware and supplies. Keep your ice bucket, cocktail mixes, and tools handy. 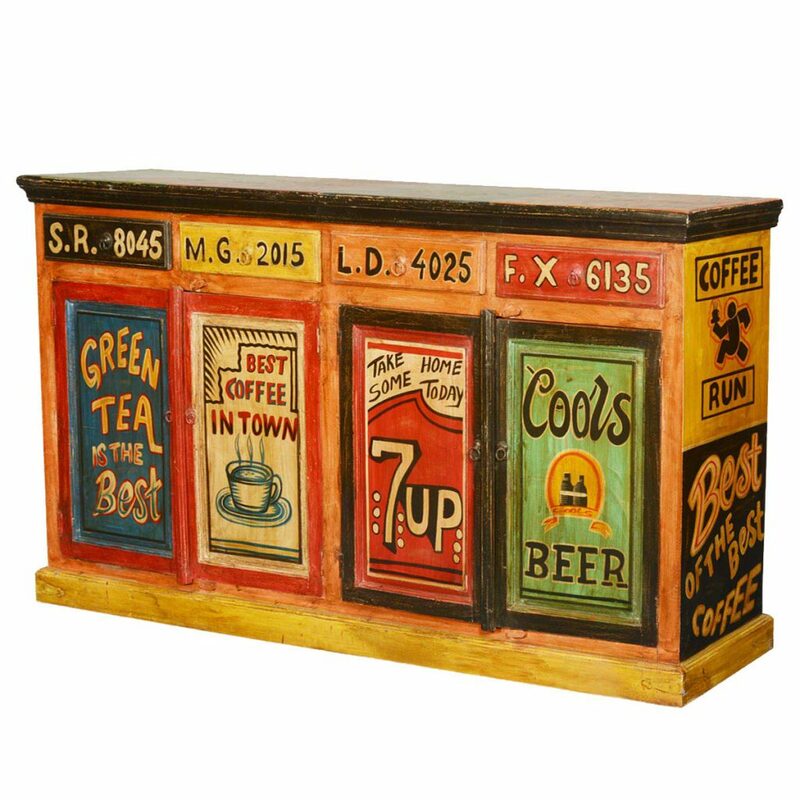 If you want to create a full bar effect, add some shelves above for display. 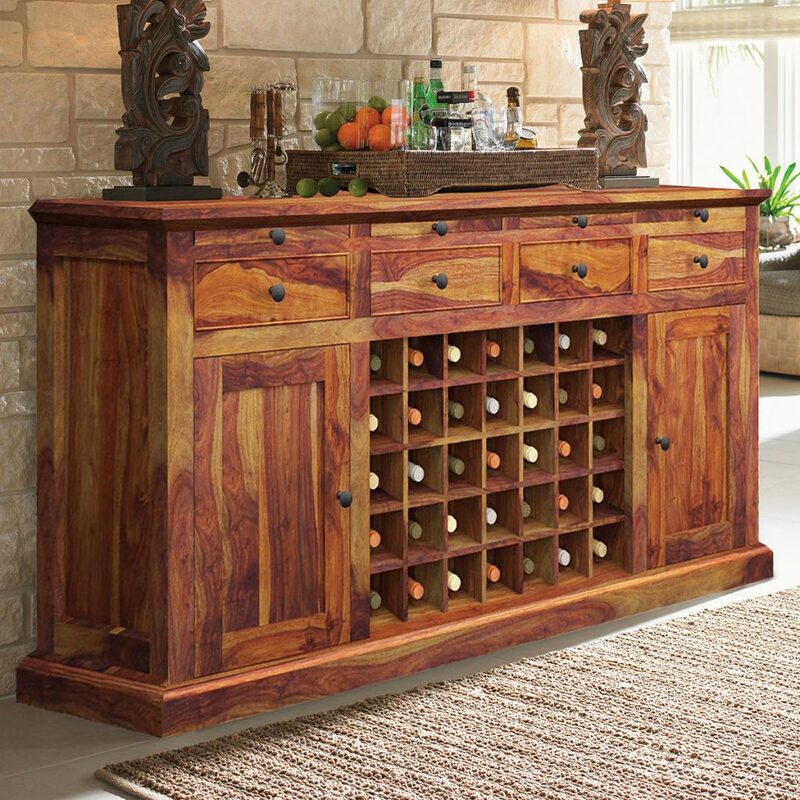 A buffet style that has built-in wine storage makes an excellent bar base. 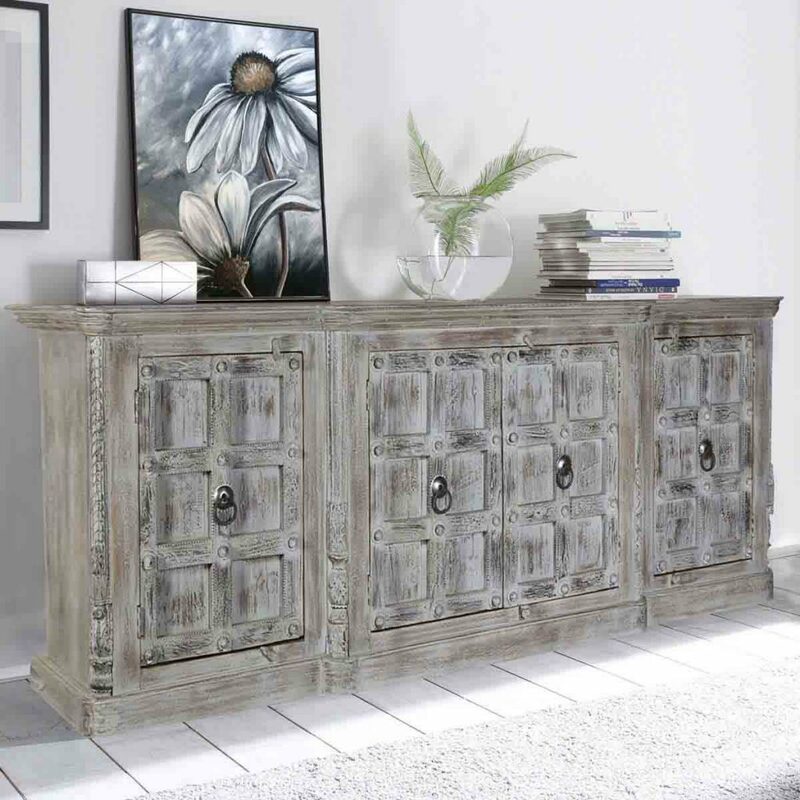 Whether you're furnishing a new home or trying to organize your current space, a buffet or sideboard should be at the top of your shopping list.